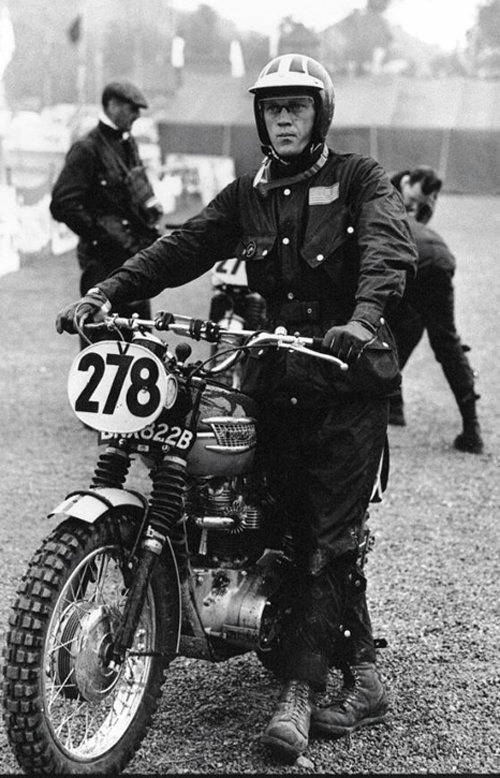 This magnificent Steve McQueen jacket is an exact replica of the jacket worn by Steve McQueen during the 6 day trials held in Scotland in 1964. 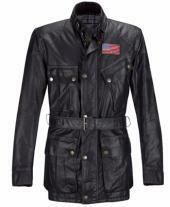 Crafted with fine quality leather, this jacket has a round neck with buckle fastening which drops to a concealed front zipper. The sleeve line flap pocket over the left is slightly angled for style. Belted waist and large patch pockets at the bottom makes it look complete.